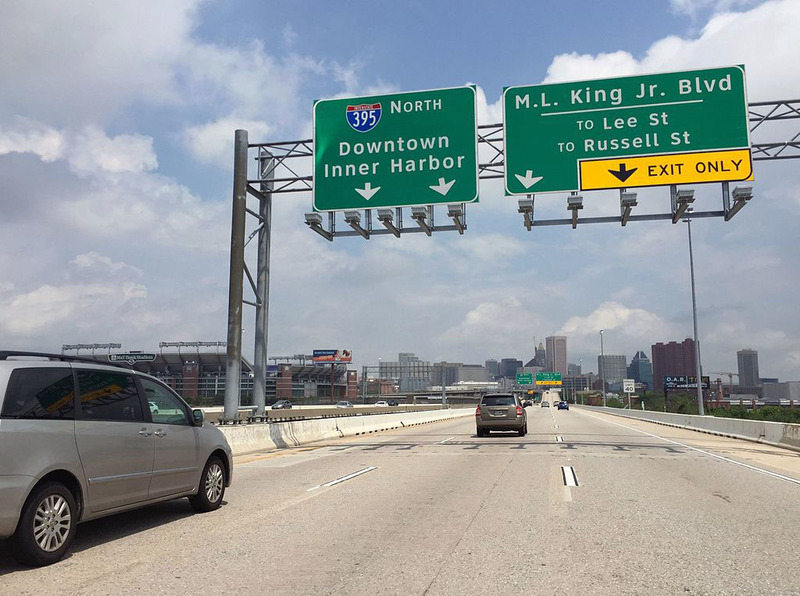 The little-known history of Baltimore's Interstate 395 (I-395) and Martin Luther King Boulevard, Jr. Boulevard offers a reminder of the years of contentious planning efforts that ended with the construction of these roadways in the early 1980s. I-395, known as Cal Ripken Way since 2008, is a little over one mile long and connects the northbound lanes of I-95 to Howard and Camden Streets near the southern end of downtown Baltimore. Originally known as Harbor City Boulevard, Martin Luther King, Jr. Boulevard was before it was renamed in honor of the famed civil rights activist in 1982. An early Christmas presents awaits motorists commuting to downtown Baltimore from the south. 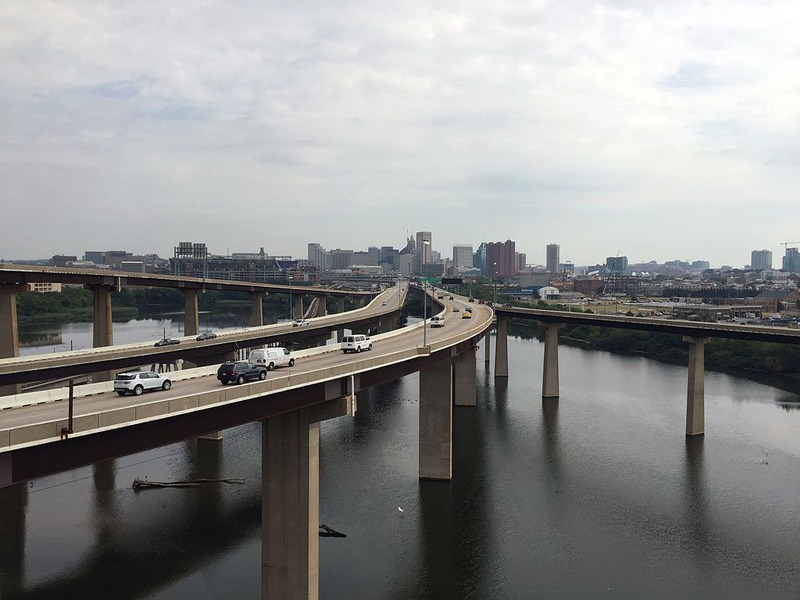 Today, three major segments of new highway open near Interstate 95, alleviating years of traffic congestion in the always busy and now-revitalized areas of South and Southwest Baltimore. Commuters used to the morning backup at the Russell street off-ramp from I-95 can opt for I-395, an $82 million northbound spur that will take them straight to Howard Street just west of the Convention Center. Those wishing to go farther north can select te 2.3-mile stretch on the Harbor City Boulevard, a direct route to the University of Maryland professional schools, the State Office Building complex near Bolton Hill, the new Meyerhoff Symphony Hall and the Lyric. The new boulevard cost $67 million. 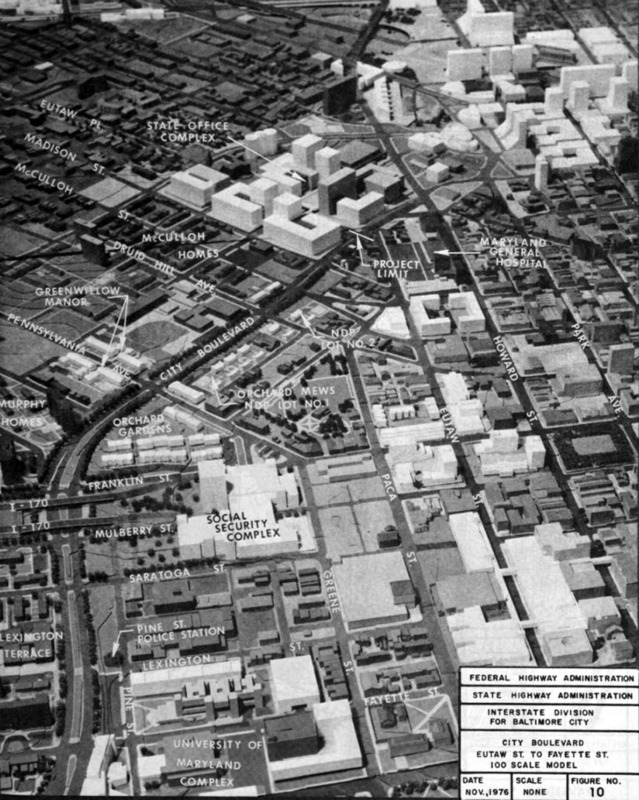 While debates over a building a "bypass" road encircling the city's commercial downtown dated back to the 1950s or earlier, the most influential plan for Baltimore's highway system, known as 3-A, was created in 1969 by the Design Concept Team. 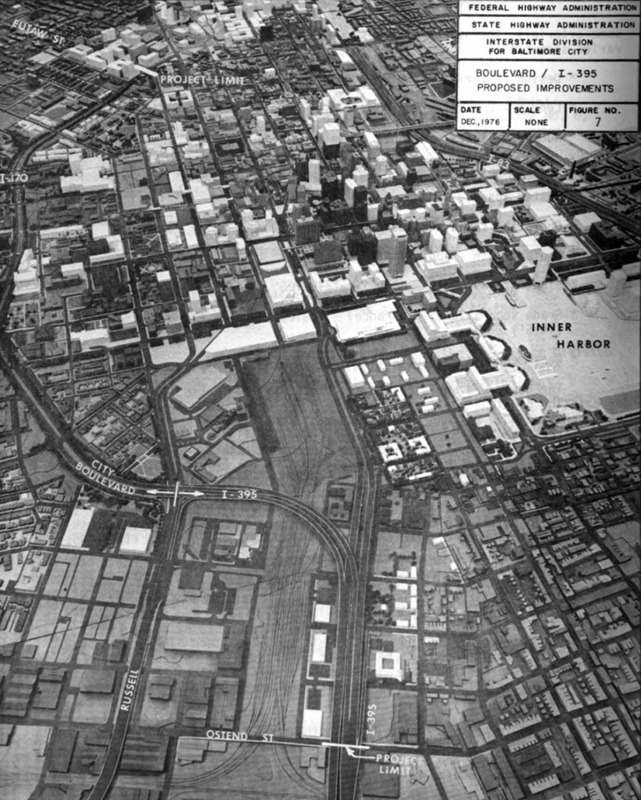 The city established the team three years earlier in an effort to restart stalled highway building efforts. 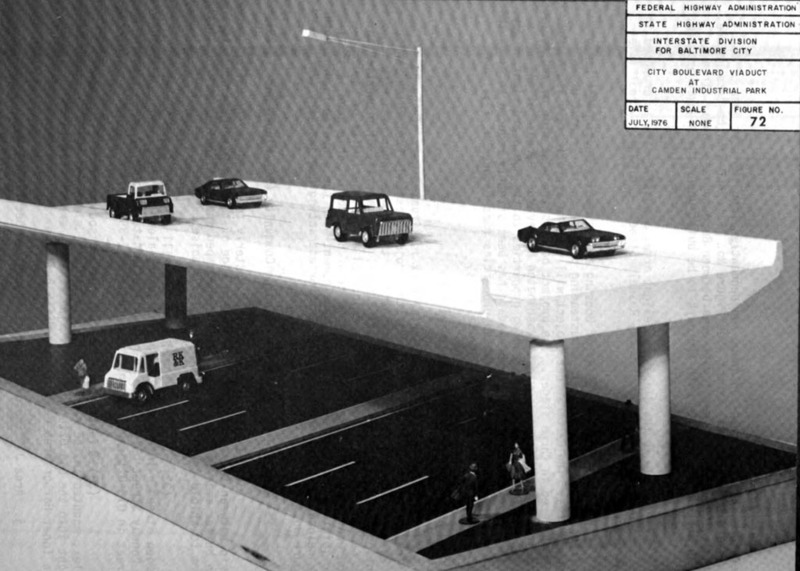 Anti-highway activists continued to fight the proposal through the 1980s leading the city to convert the proposed boulevard from a sunken highway to the at-grade route used today. 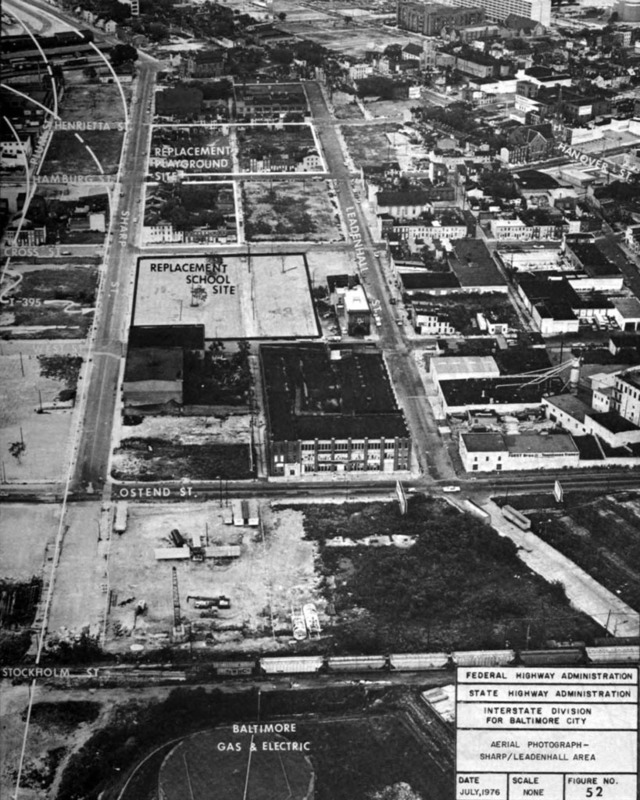 In March 1980, the Sun reported on the experience of Emily Makauskas and her neighbors on the "stately 800 block Hollins Street" who fought to change the plans and "saved their block." 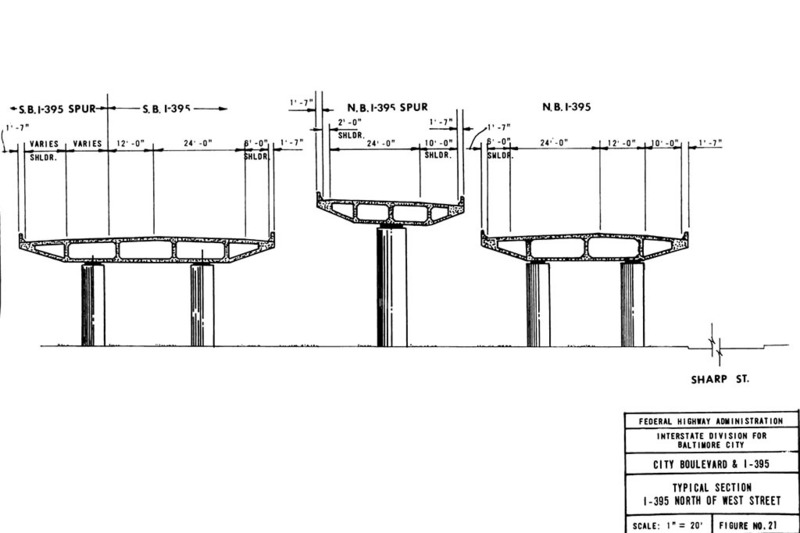 The city planned to line the boulevard with "small parks, bicycle paths, brick sidewalks and trees" but an article in April noted that the improvements "may not placate some area homesteaders who are concerned about the road's affect on their neighborhoods." The boulevard is a collector and distributor road, and will do two things. It will move people in and out of downtown more efficiently and it will get traffic that need not be in the downtown area to go around it... it will be a perfect route for people going to the baseball games at Memorial Stadium. They won't have to go up Charles street until they're north of downtown.. The original named was selected through a contest sponsored by then Mayor William Donald Schaefer. The Mayor initially opposed efforts to rename the road after Martin Luther King, Jr. citing the cost of producing new signs. 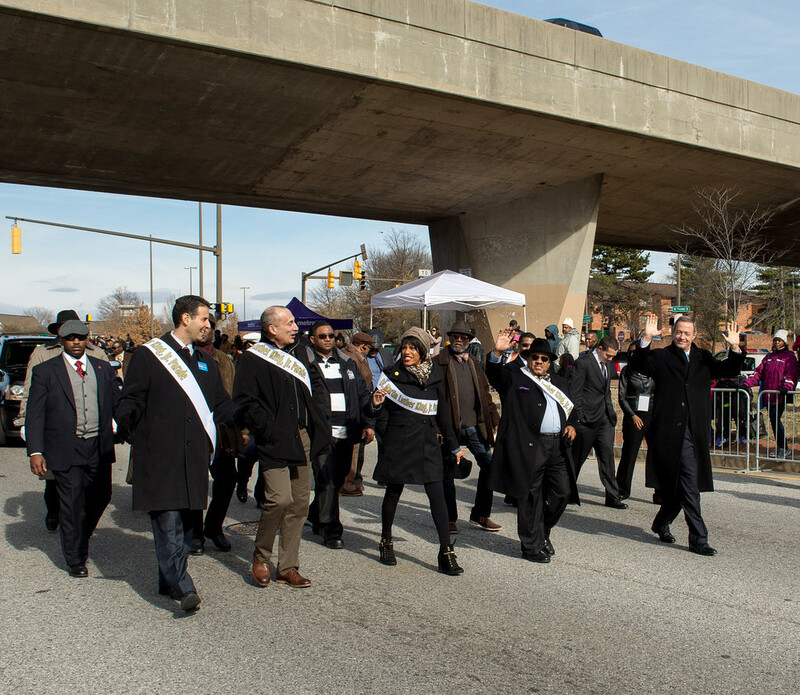 The renaming campaign ultimately won out thanks to the advocacy of state delegate Isaiah "Ike" Dixon, Jr. (who first introduced similar legislation to rename the Jones Falls Expressway eleven years earlier) and city council member Victorine Q. Adams (who introduced the name change before the City Council). Over thirty years later, few drivers likely recall the divisions over the name and the highways are considered a fixture of the busy urban lanscape. 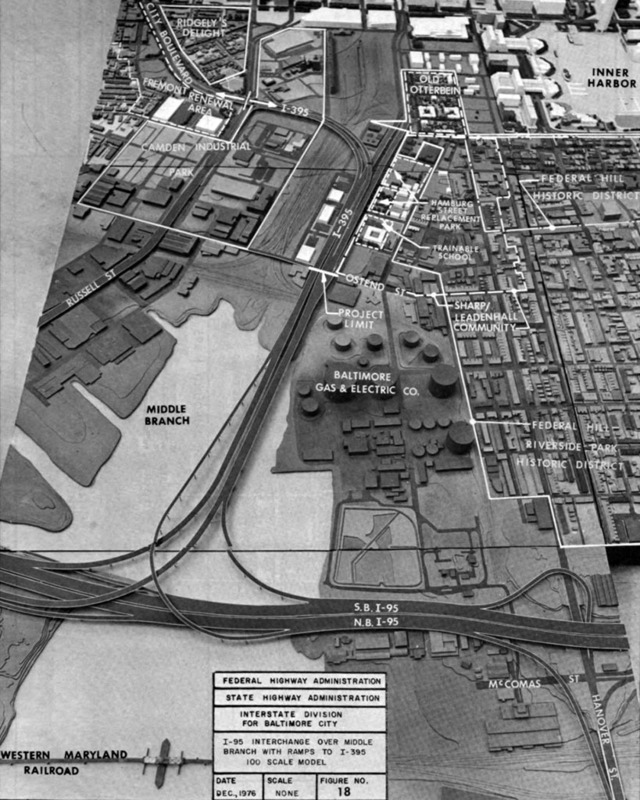 Eli Pousson, “Interstate 395 and Martin Luther King, Jr. Boulevard,” Explore Baltimore Heritage, accessed April 23, 2019, https://explore.baltimoreheritage.org/items/show/664. Published on Dec 6, 2018. Last updated on Jan 4, 2019.